Nowadays, music is an indispensable part of our life. Listening to music can relieve our pressures and relax our nerves. As a result, more and more people pay for diversified music services to please their ears. Among them, iTunes music is the most popular platform to look for beloved songs. For one reason, DRM-free iTunes music has been available since April, 2009, though Apple Music on iTunes is still DRM-protected. For another, iTunes music can be transferred and listened to on other platforms or devices except on iTunes. With the development of technology, more and more people would prefer portable things to do what they like to do timely and conveniently. Listening to music on mobile devices is an example. At present, a great many music lovers may choose Android phones, such as Samsung Galaxy, Huawei and HTC, as perfect tools to immerse themselves in iTunes music. But how can we export iTunes music to Android phones? Here we will show you two methods. Tips: Apple Music on iTunes can be played on Android phones by an app named Apple Music for Android but it's not recommended for its' slowness and frequent crashes. If you want to export Apple Music on iTunes to Android phones, please ignore Method 1 and jump to Method 2. 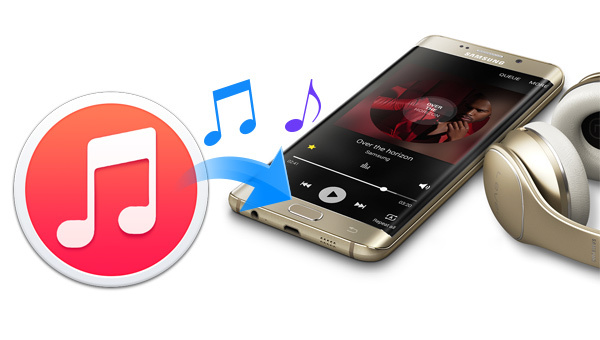 Backup iTunes Library to Android phones is a regular way to transfer iTunes music, but the inconvenience is that the backup iTunes songs are sorted out by Artists in many single folders. You have to open every folder under parent folder to copy the songs. Moreover, some unneeded data may be exported too. Now let’s see how to export iTunes music with Method 1. Step 5: Right click the iTunes Music you want to export and send them to your Android device. Is there any easier and cleaner way to do it? Yes. NoteBurner iTunes Music Converter will perfectly work as you wish. It can efficiently transfer iTunes music to Android phones. Besides, it can remove the DRM from Apple Music on iTunes and convert the songs to DRM-free formats(MP3/AAC/FLAC/WAV) with lossless quality. 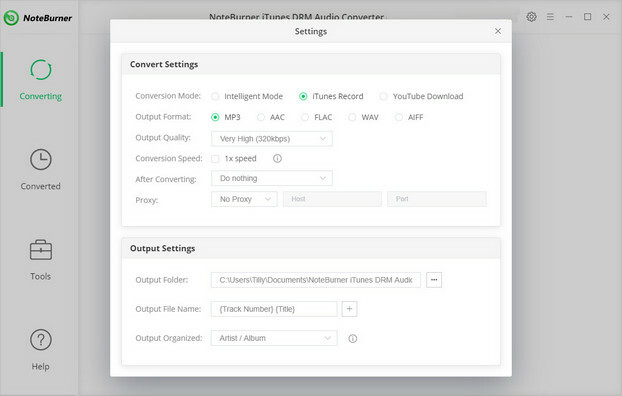 With NoteBurner iTunes Music Converter, you can create a folder for all the iTunes music and Apple Music exported, without any irrelevant contents. By one click, you can export all the music you want in DRM-free format to your Android phone or other devices. Next comes the magic. 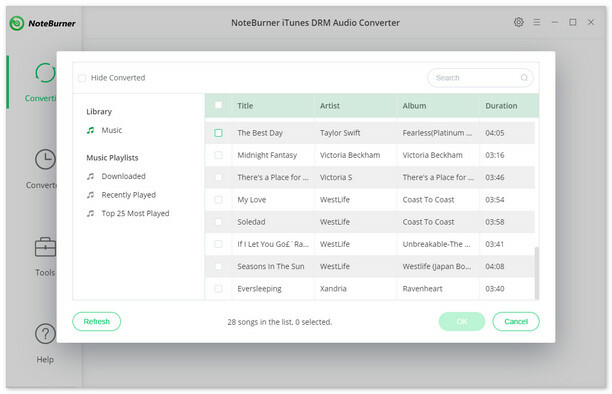 NoteBurner iTunes Music Converter supports both Windows and Mac OS. Here we will take Windows version as an example. The tutorial below will show you how to export iTunes Music to Android Phones quickly and cleanly step by step. Click button “+” on the upper left and a pop-up window will show you all the iTunes music you’ve downloaded in the iTunes library. Tick the iTunes music you want to export to Android devices and then press button “OK”. Click the gear button on the upper right and a dialogue will pop up to permit you to choose output path, output format (MP3/M4A/M4B/FLAC/WAV) and conversion speed, etc. Click button “Convert” and all the iTunes music you choose will export to the folder you designate in Step 3. You can also find the converted iTunes music by clicking the history button (something like a clock) on the upper right. Connect your Android phone to your computer by a USB cable. Find the converted iTunes music or the folder to transfer them to your Android device. All done! For watching iTunes videos on Android, please refer to How to Sync iTunes M4V Movies to Android. Note: The free trial version of NoteBurner iTunes Music Converter converts three minutes of each audio file only. If you want to unlock the time limitation, you can purchase the full version of NoteBurner iTunes Music Converter with $39.95.